Narendra Modi and Donald Trump share strongman characteristics and both have a zero-sum approach to trade. The Indian premier needs to boost manufacturing just as the U.S. president wants to do the same. The Asian nation has the most to lose if it fails to realise its vision. 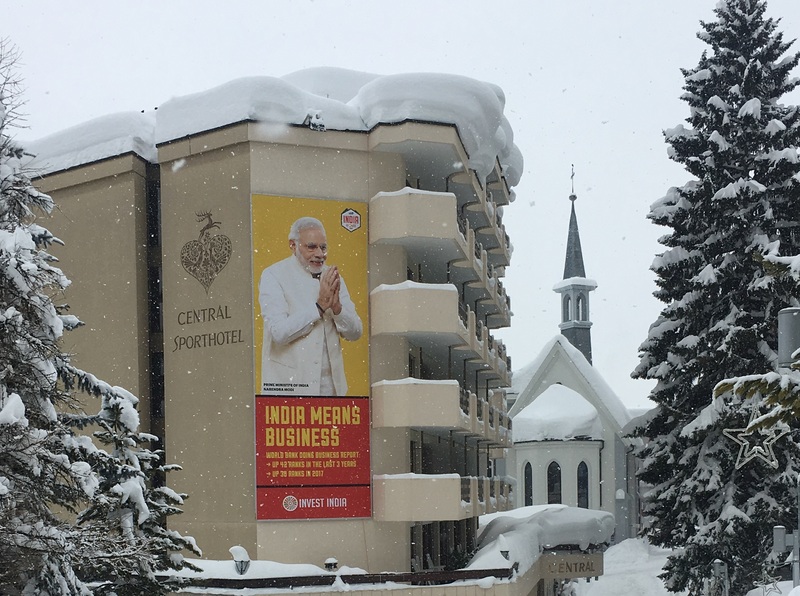 India is “removing red tape, and laying out the red carpet”, Prime Minister Narendra Modi told the World Economic Forum in Davos, the Swiss ski resort, on Jan. 23. Modi gave a wide-ranging speech addressing the importance of countries working together to tackle climate change, terrorism, and "reverse globalisation". "Forces of protectionism are raising their head against globalisation, their intention is not only to avoid globalisation but they also want to reverse it," Modi said. It is the first time in over two decades that a prime minister of India has attended the forum. The Indian delegation is the largest ever, with over 100 CEOs registered as participants. The theme of the 48th annual summit is "creating a shared future in a fractured world".